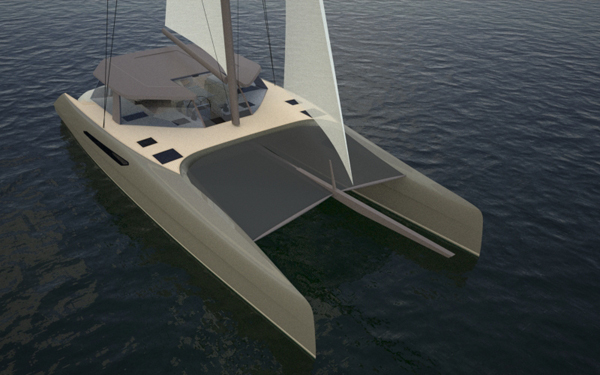 Check out the new Gunboat 55 that’s in the works. Gunboat’s are always aggressive. And the 55 is no different. This latest model appears to be building upon the success of the Gunboat 48, but in fact, it seems even more aggressive if that’s possible. 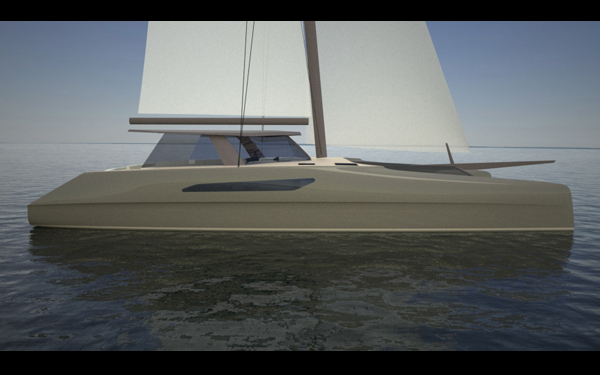 By the looks of it, the 55 appears to have one huge uninterrupted interior space from the mast to the aft crossbeam. For daysailing or cruising in warm weather, the aft end can remain open for the outdoor feel. The best of both worlds in the open, yet protected cockpit. In inclement weather, the aft end can be sealed up to create a cozy cocoon, albeit with Gunboat’s unique 360 degree visibility. I like it. According to advanced reports, the accomodations are restrained down below. 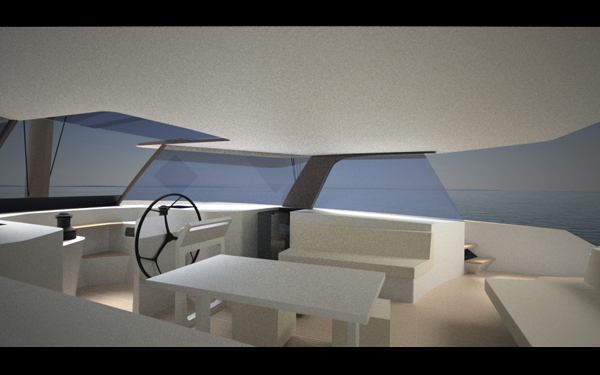 There are simply two superyacht style cabins, one it each hull. Can’t wait to see the real thing.